Dr Macgroarty spoke on shoulder instability in the contact athlete. 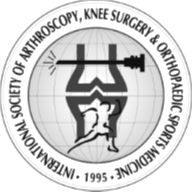 Discussion included selected surgical treatment (Laterjet Procedure) for antero-inferior shoulder instability and new techniques of performing arthroscopic AC joint reconstruction. The acute knee and shoulder sports injury clinic which runs every Tuesday in Dr Macgroarty’s rooms at level 6, 457 Wickham Terrace, Brisbane, 4000 was well received as it allowed athletes to get their imaging organised on Monday after weekend sport injuries.